Hii! How's it going? Grab your sunglasses because I have quite the neon love to show you guys. 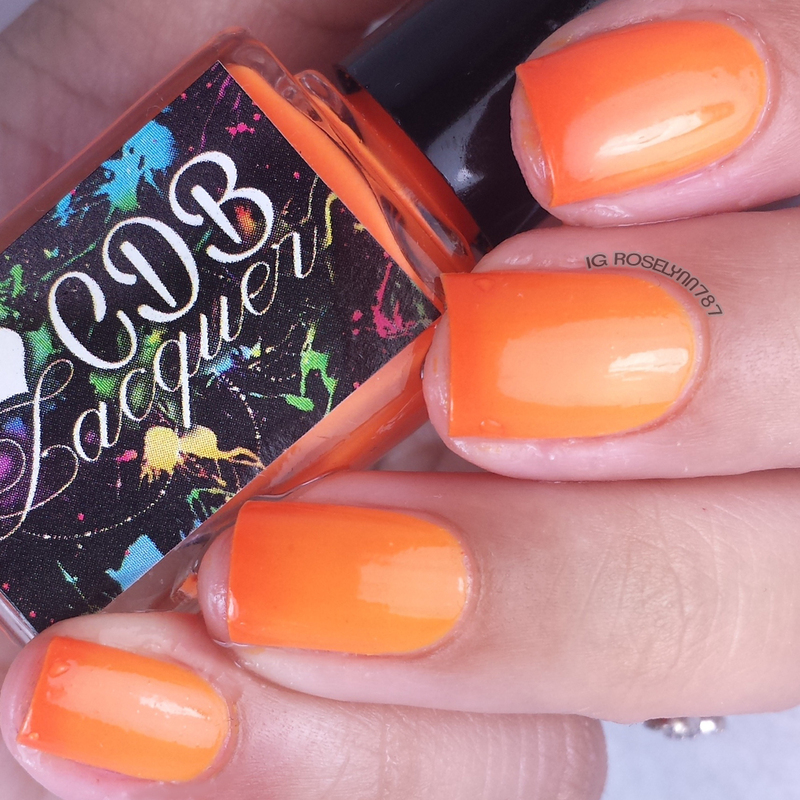 Today I'll be showing you swatches for the Summer Rainbow Thermal collection by CDB Lacquer. This collection will be available in three different finishes - creme, scattered holo, and glittered. The ones I received to swatch are the straight creme colors, which turned out fantastic for watermarbles and stamping (more about that at the end of the post). 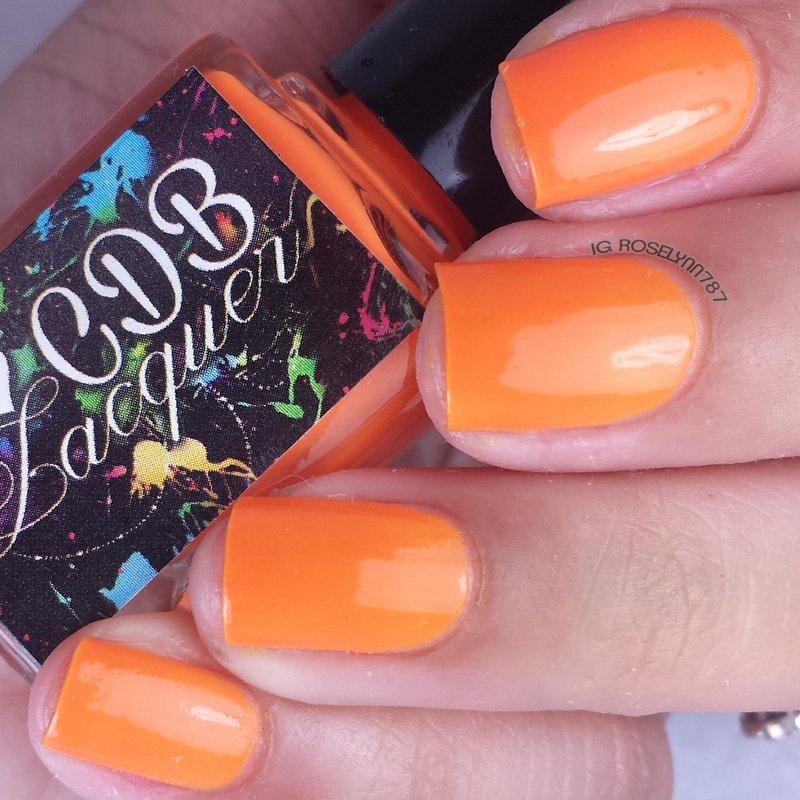 The Summer Rainbow Thermal collection by CDB Lacquer will be releasing May 1st at noon EST. Each bottle will only be available in full size for $8.50 each. 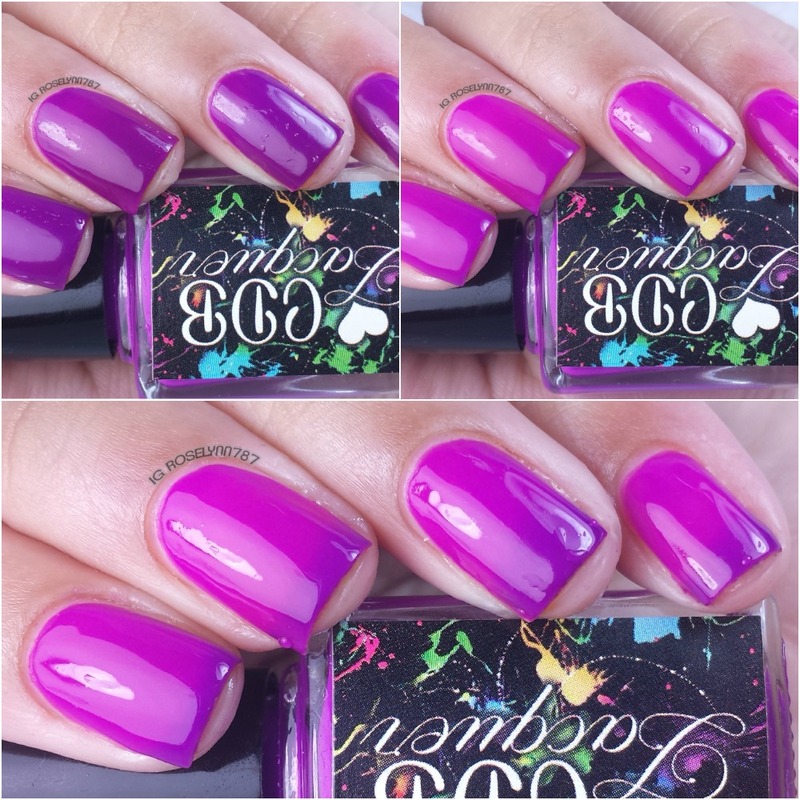 In an effort to save some time, especially with the amount of photos in this post, I'll be doing brief descriptions for each polish. 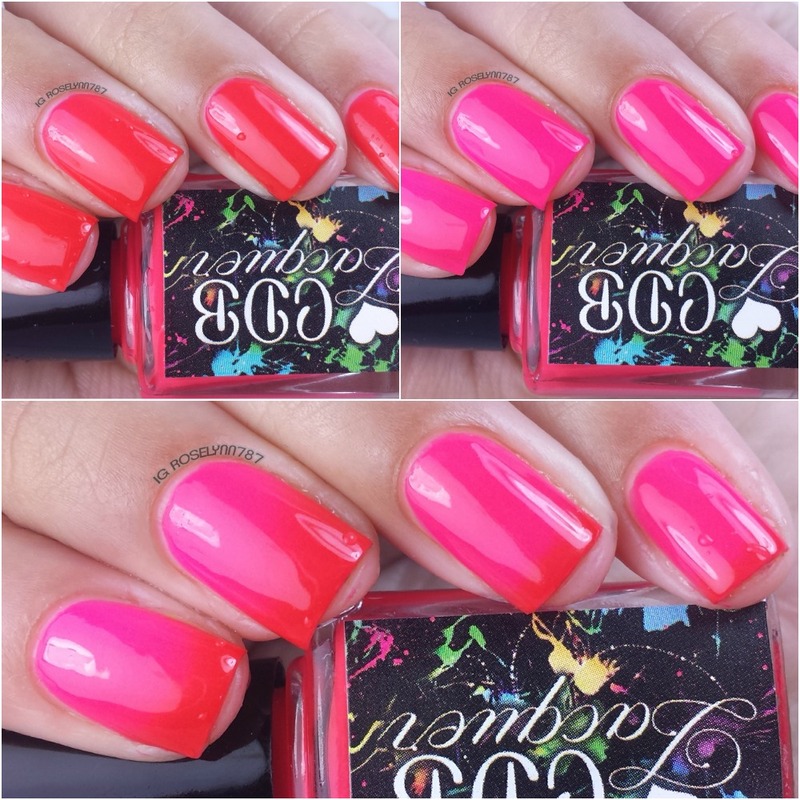 The six-piece collection shares a similar formula application throughout. 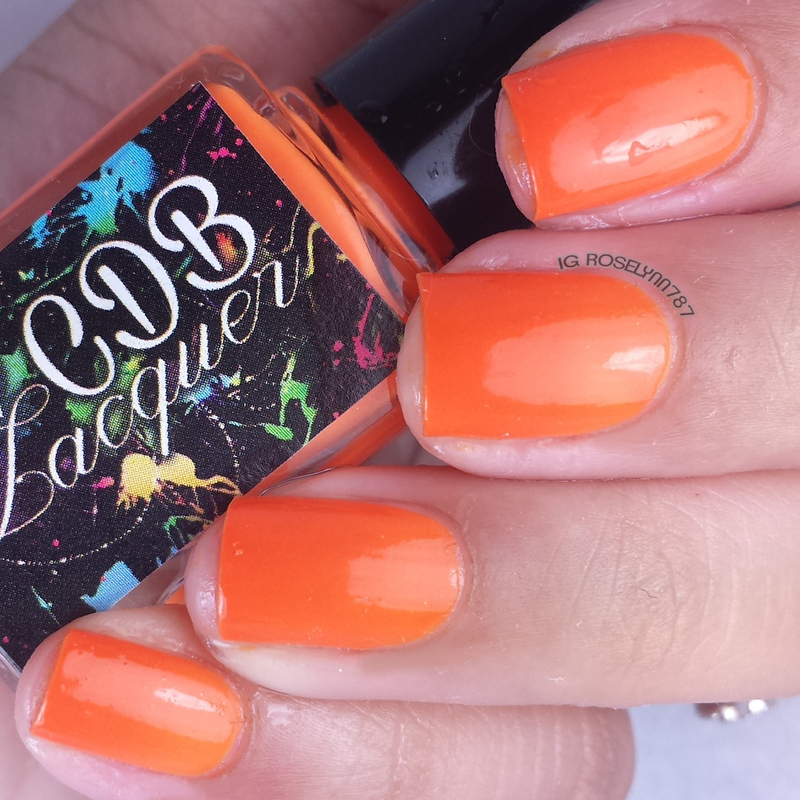 You'll find that the formula has a good smooth application, however, they do tend to be sheer. 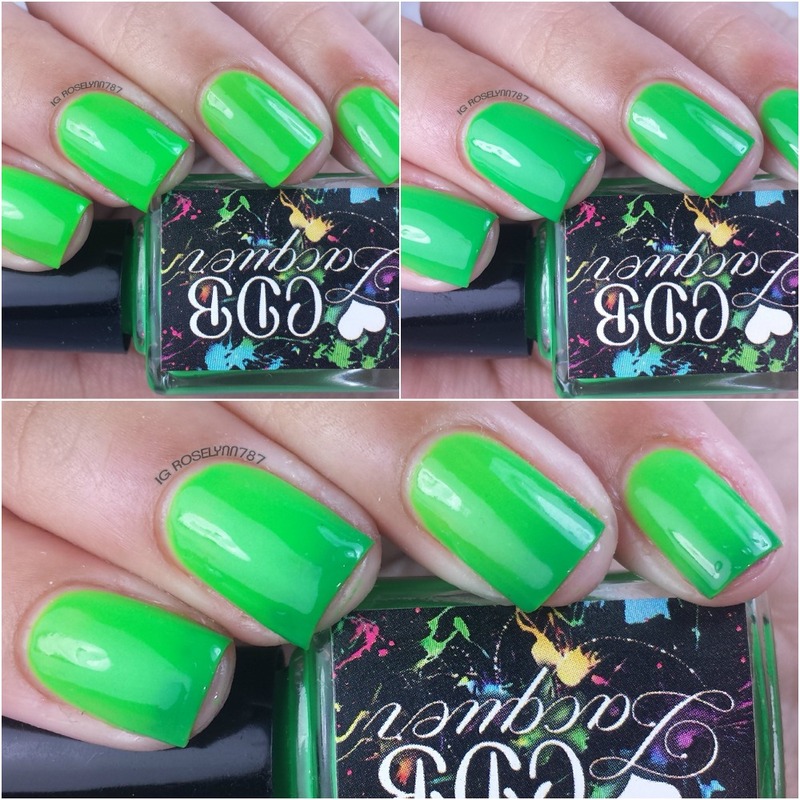 Each one of the colors does build-up nicely and they even out with two to three coats. 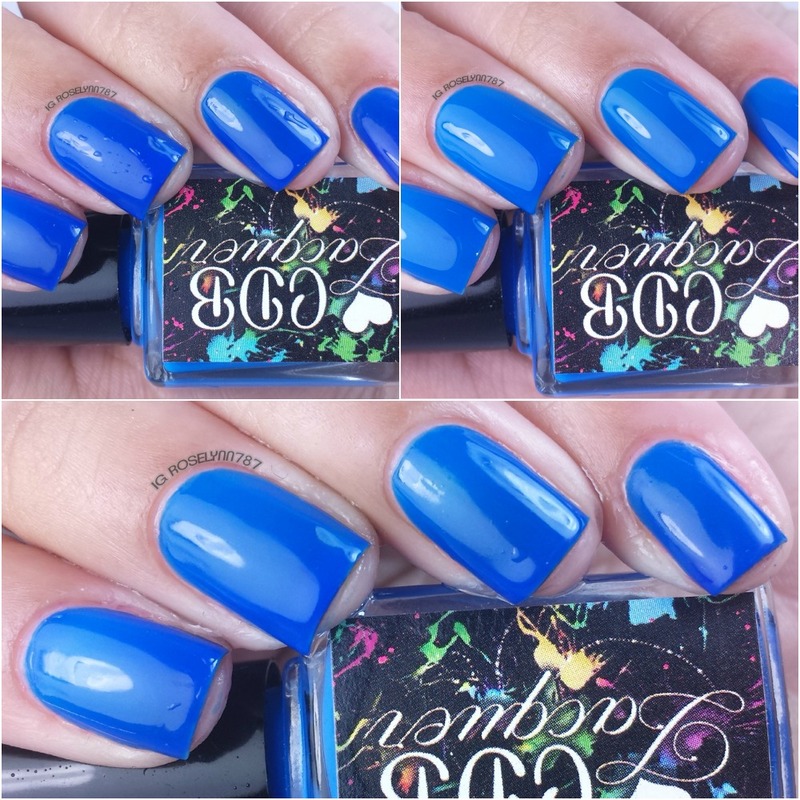 All of them do dry to a silky matte finish, but I did use a glossy topcoat for each one of my swatches. Now let's get to the swatches! 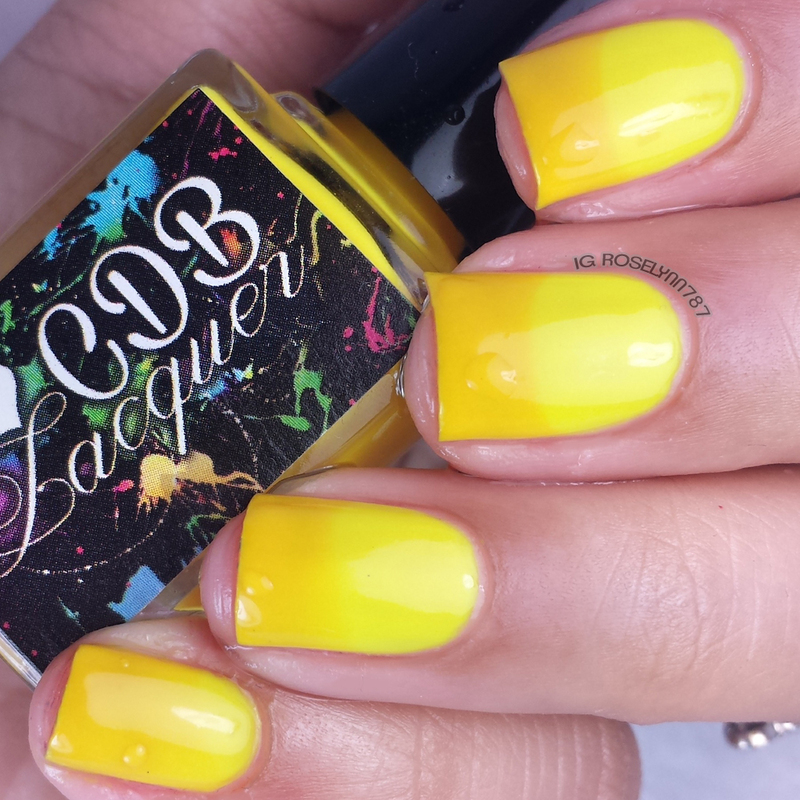 Youthful Yellow is a bright sunny yellow thermal when warm that turns into a buttery darker toned yellow when cold. I didn't expect it to have such a visible thermal change, but I am (for the first time ever) in love with a yellow polish. 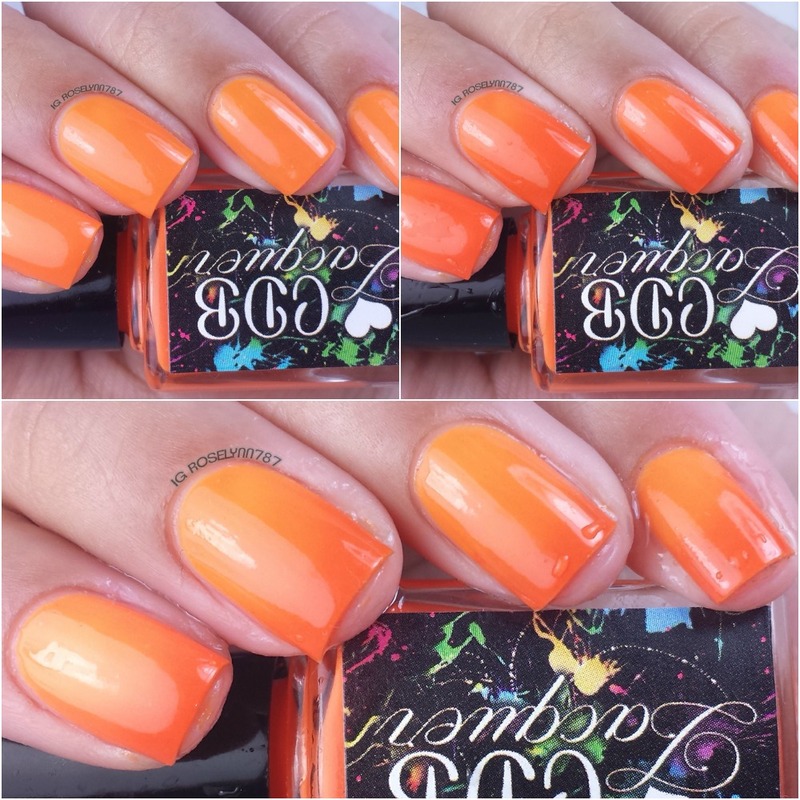 Outgoing Orange is a light orange when warm and transitions into a dark tangerine orange when cold. This is again not a color I would normally like to wear, but it's actually stunning against my skintone. 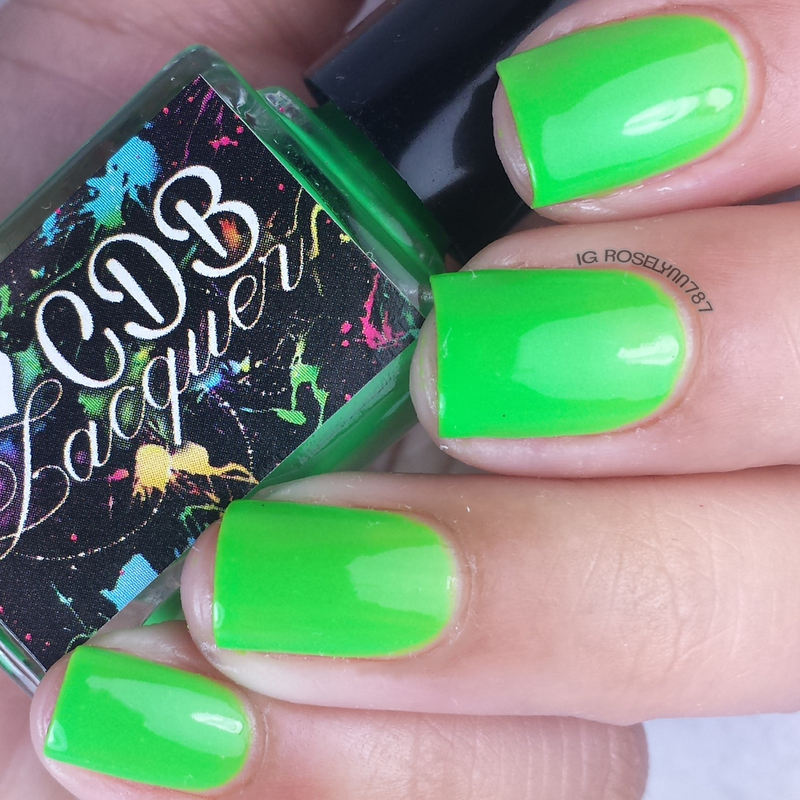 Gleeful Green is a thermal that shifts from lime green when warm to a dark green when cold. I couldn't get the'cold' variation to photograph under the hot lamps very well, but this does shift a few tones darker when cold. 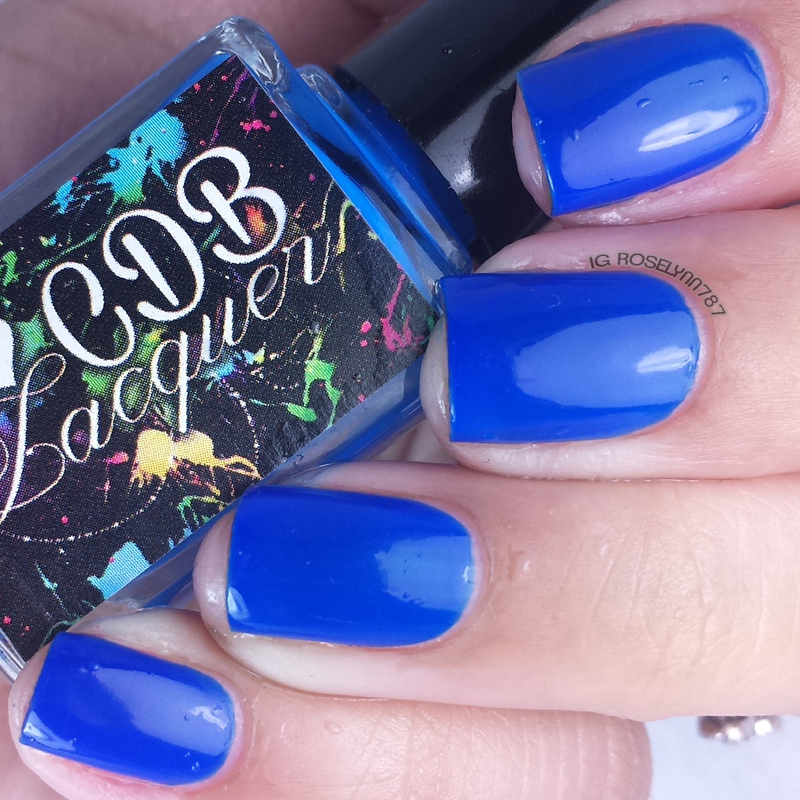 Bubbly Blue is a thermal that shifts from a sky blue when warm to a darker blue when cold. Although I adore the shade of blue, the transition for this one is too subtle for my liking. I definitely would of liked to see the darker tone maybe dip a bit more into the navy blue region. 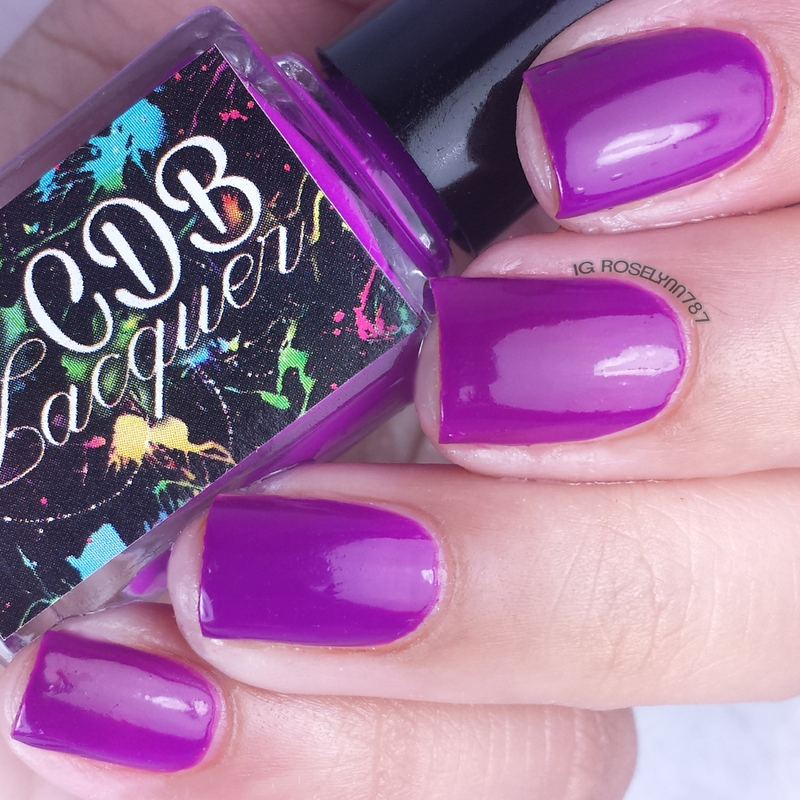 Playful Purple is a thermal that shifts from a bright fuchsia when warm to a dark purple when cold. This is probably my second favorite among the collection and I do have to slap the 'must-have' label on it. The transition is very gorgeous and dramatic, just like I love my thermals. Raging Red is a thermal that shifts from a bright neon pink when warm to a cherry red when cold. And this, of course, is my favorite among them all! The color change just stole my heart like no other did, it's so squishy and just fantastic! Definitely a must-have. 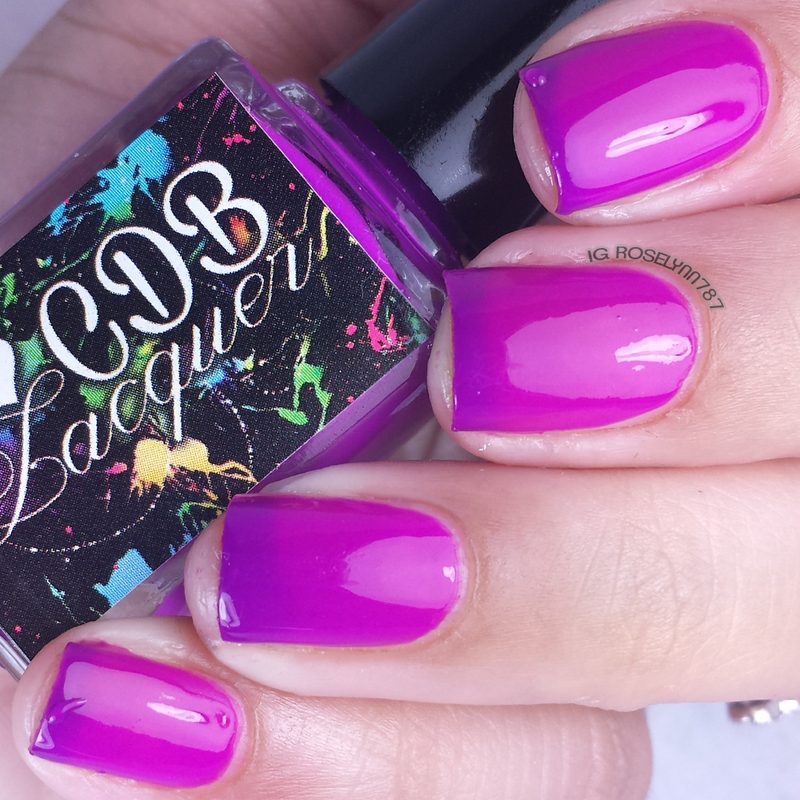 Overall I am a huge fan of the Summer Rainbow Thermals by CDB Lacquer! Very impressive formula, however, it should be noted that the consistency is a bit more on the jelly side than creme. That said, they do marble AND stamp flawlessly like a creme normally would. So while it's a little odd, they do obviously work very well (watermarble from yesterday's post). These also happen to be... black-light reactive! Go get your rave on! NEON THERMALS! SHUT UP! I love these. Do they still change colors when you watermarbled them? These colors are so much fun! I especially love that bright green. Love this line. I like those bright summery colors. I just had yellow on my nails, now I have pink and I am thinking about going orange next! 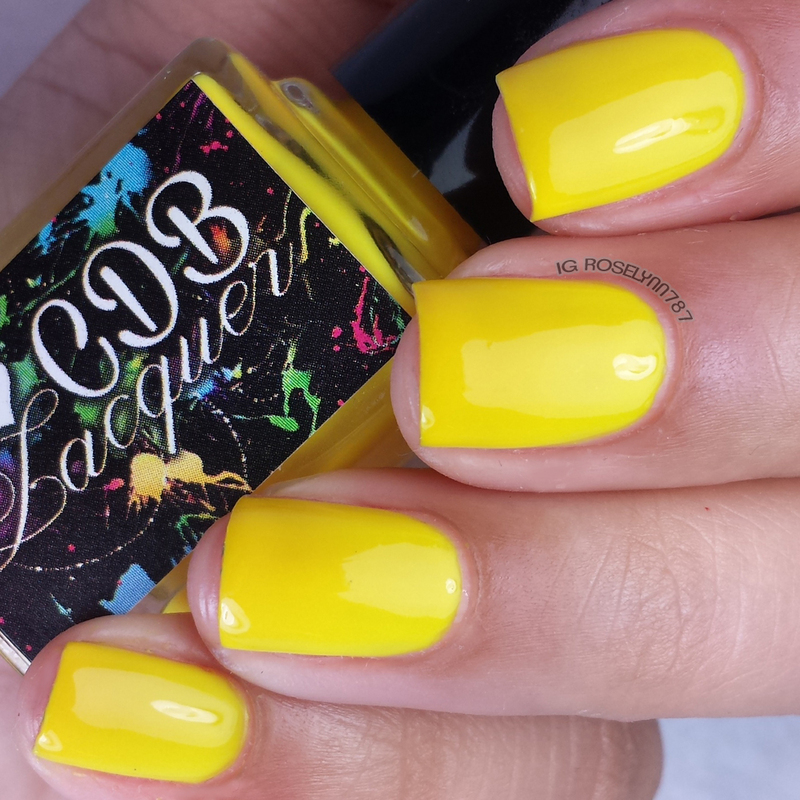 I've never worn yellow or green on my nails, but I would wear these colors - they are beautiful! I love the color change when it gets colder. So many bright and cheery colors! I love them all. 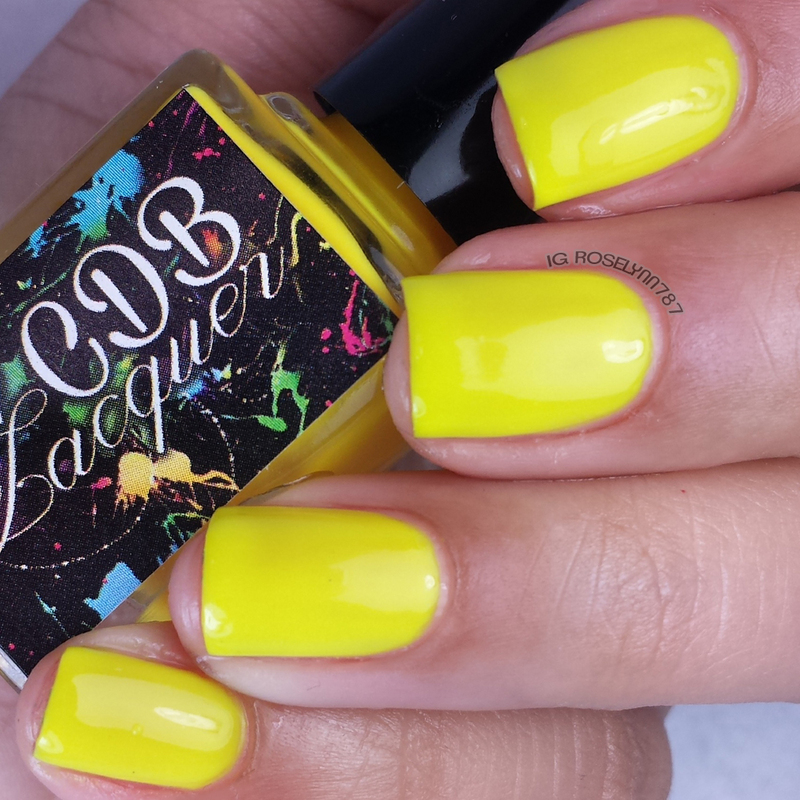 I've never done a bright yellow or green, I think they'd be fabulous to rock! 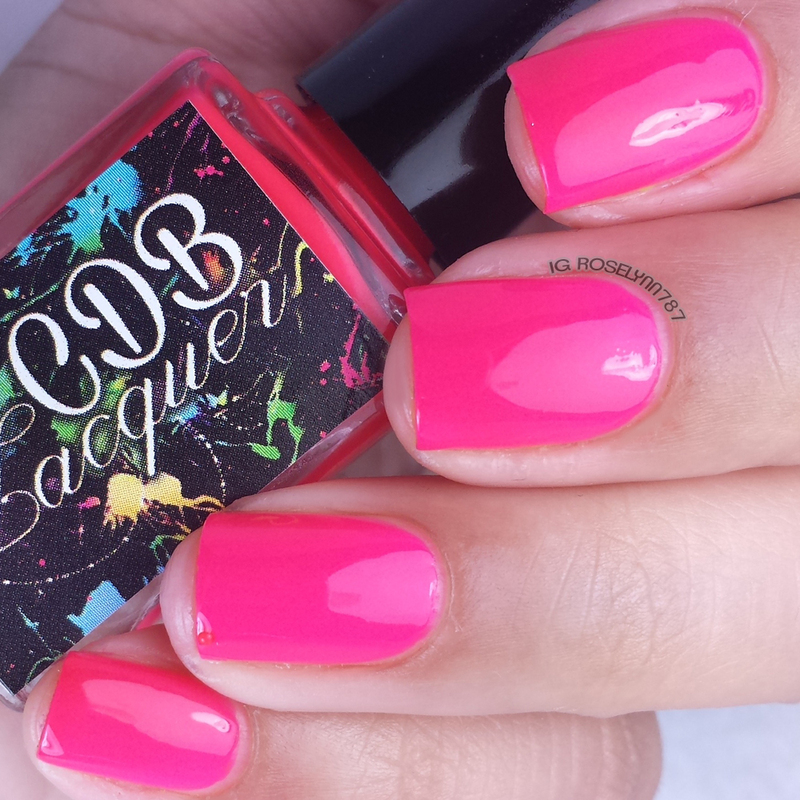 The colors on these polishes are incredibly bright and vibrant. 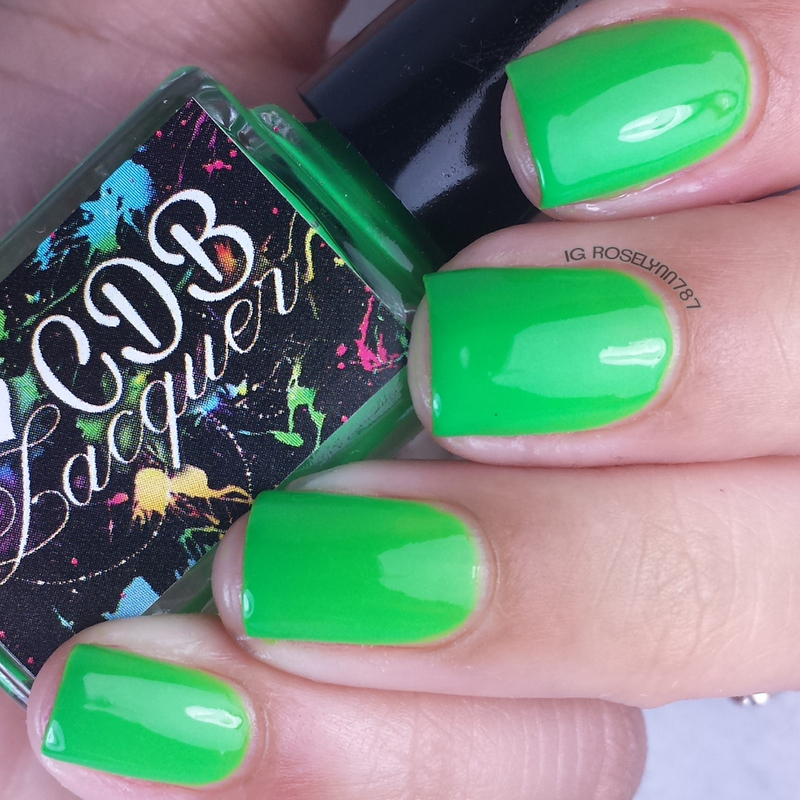 I especially like the green one because it matches my favorite soccer team (Go Sounders FC!). I'm going to talk to the wife and see if she wants any of these, though she is partial to Zoya. I really like all of these! I'm interested to see the ones with the holo and glitter. What an interesting concept for a collection! 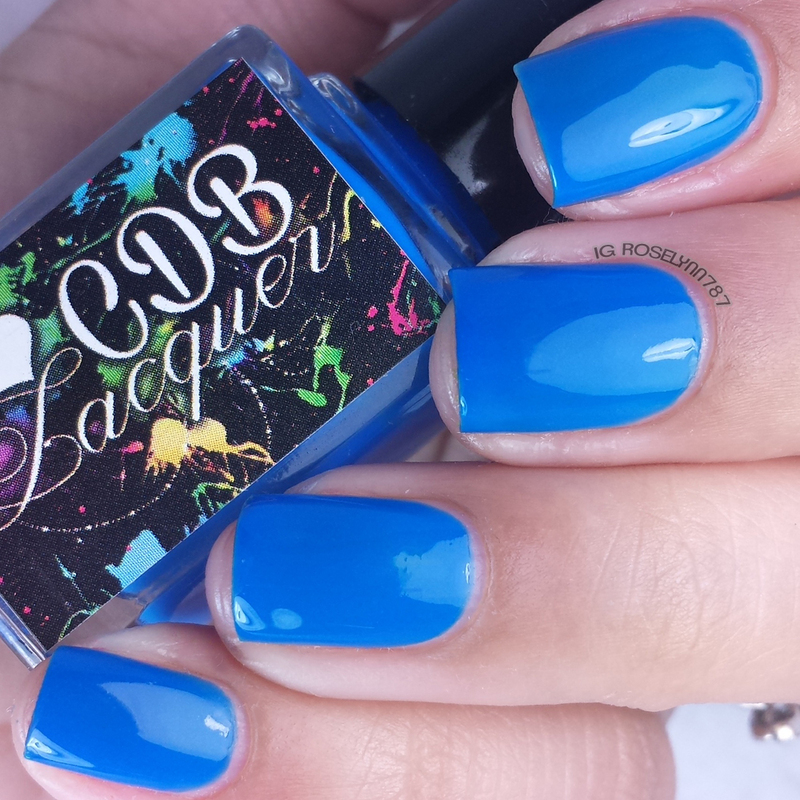 I've never heard of this nail polish brand before! I love that purple color! It's gorgeous! I'll take ALL of them. Nail polish is my one beauty weakness. They all look so great on your nails. Pretty colours! My friend had something like this on the other day and I thought I was losing my mind and imagining the colours changing, lol! I love the yellow! Neon and thermal is a great idea! So many summery fun colors. I think the blue is my favorite out of them all! Raging Red and Youthful Yellow are stunning!! I'm going to have to look into some of these. 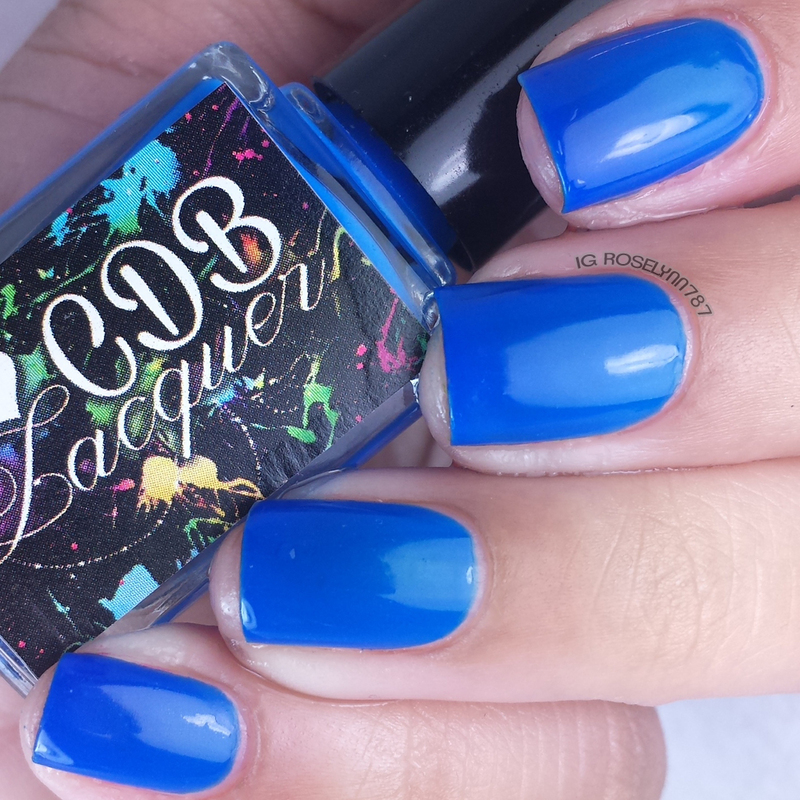 Bubbly blue is gorgeous, and your nail art is fantastic!! 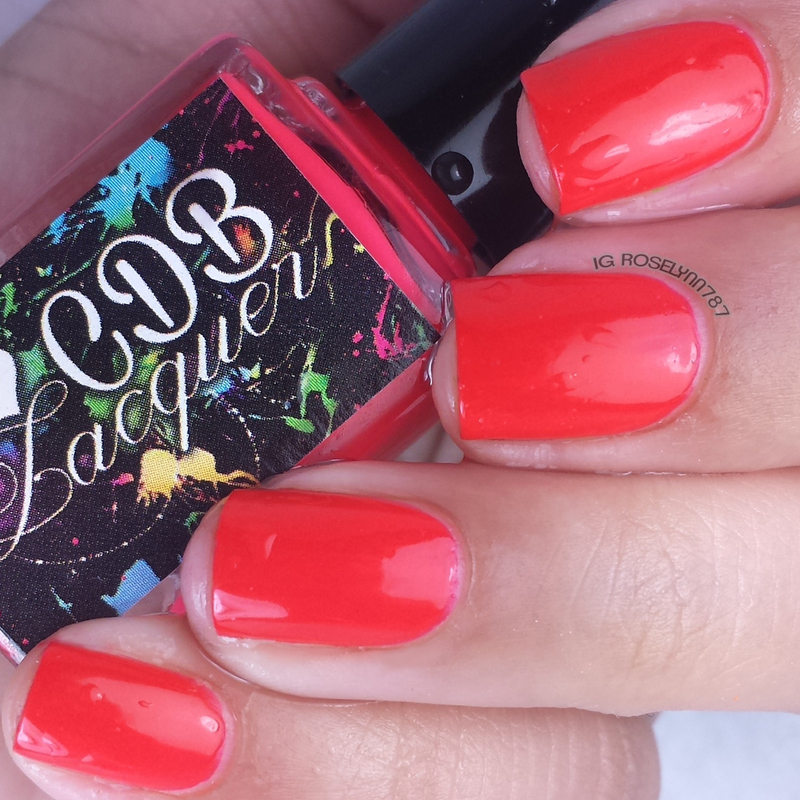 In the collage, my eye was totally drawn towards Raging Red…and holy moley, it's gorgeous!! Oh what fun! I just adore these colors. Makes me want to run out and get them today. I think I'll have to try some of those out for sure. What great pics too! Wow these are amazing! My favorite is the orange! It will match my car. :D What lovely colours. The green is making me dream of a wild fields and the yellow is just making me smile! These are fun colors! Raging Red and Playful Purple are my top picks. Awesome! Great swatches. I agree that the shift on the blue is way too subtle. WOWZA! Those are some bold colors! 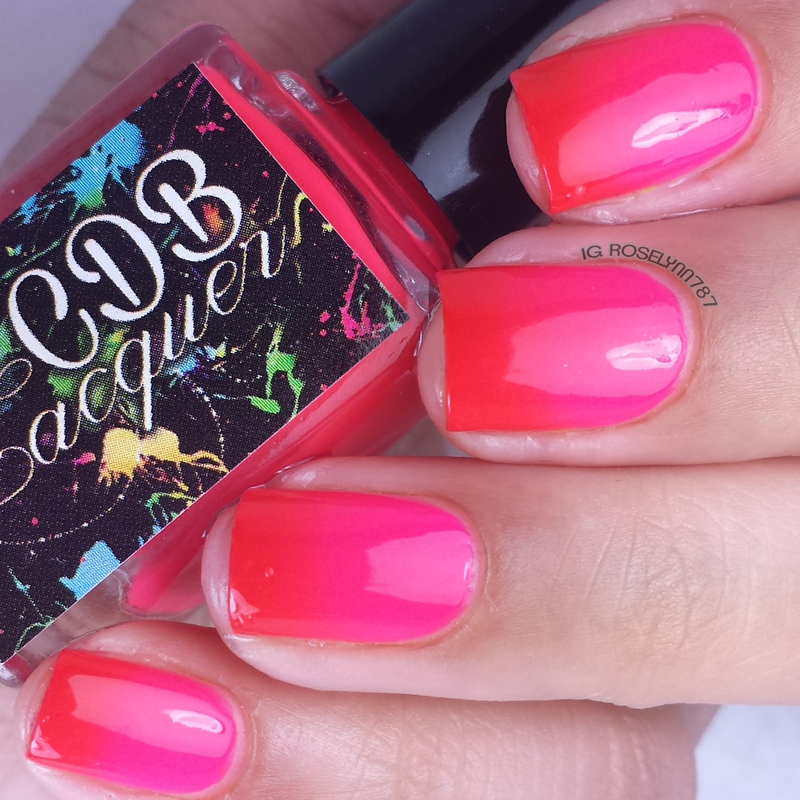 Nothing like a bright color to kick the summer off right? Thanks for the look at some new colors! My daughter would love these colors! They are bright and beautiful. My favorite would be the purple one. Such a gorgeous set! I really love Raging Red! Your right I should have grabbed my sunglasses! Just kidding. =) Those colors are very nice for this time of year. WOW!! Neon thermals?! 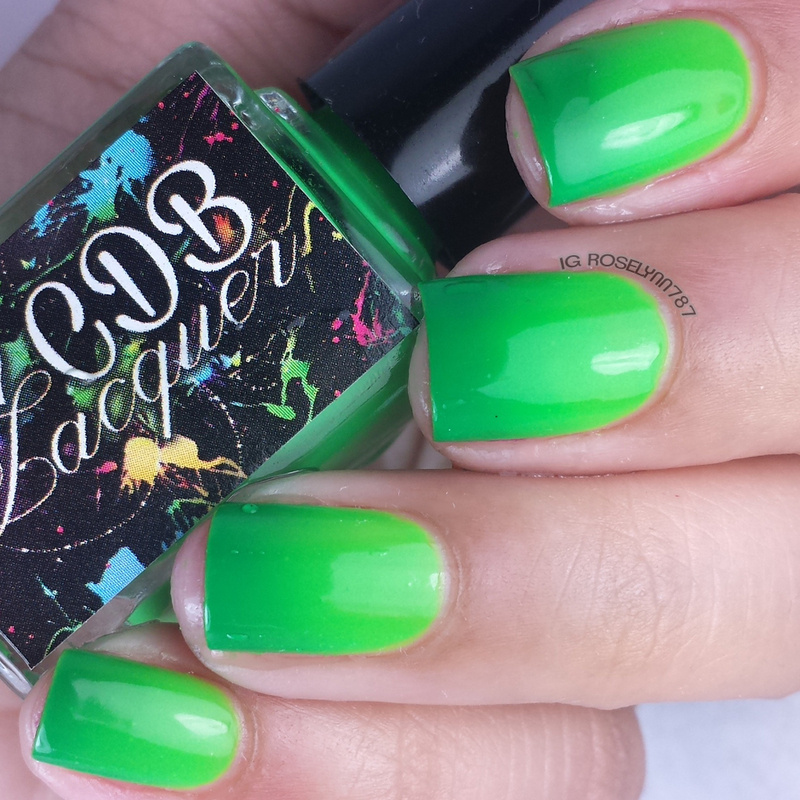 These are crazy amazing, and your swatches are perfect! I think you're right - Raging Red is the favorite! Thermal neon blacklight reactive stamp-well marble-well polishes? WHOAAAAAAAA I want them! Normally I'm most drawn to cool colors but here the warm ones speak to me. 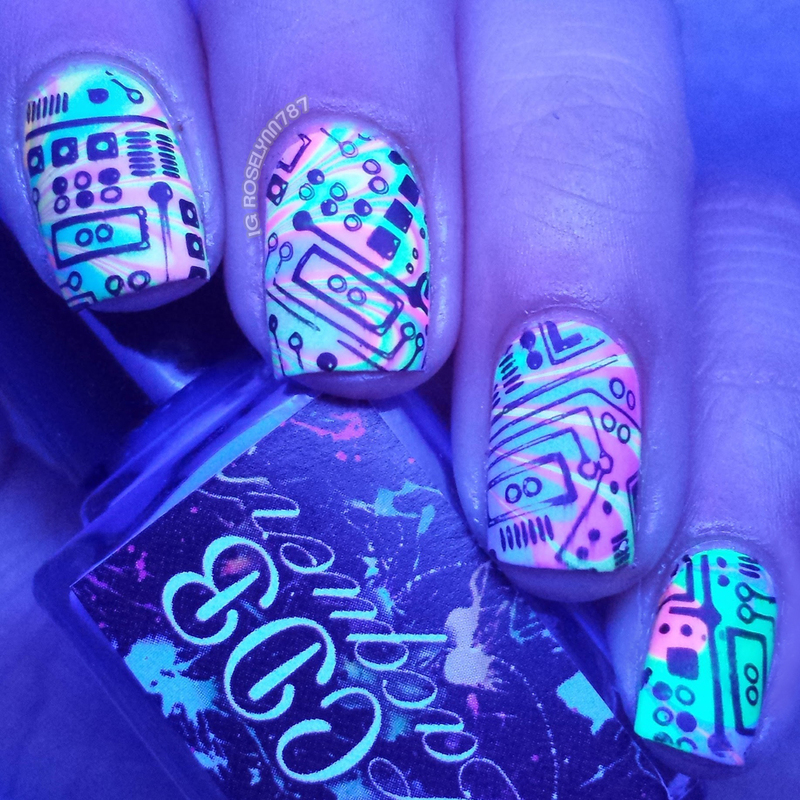 Love your futuristic nail art! YES!! NEON thermals!! Apparently I'm so excited I can't even put together a coherent sentence! These are amazing photos. I love the Gleeful Green color. I enjoy changing my polish a few times a week. OMG, I love this! 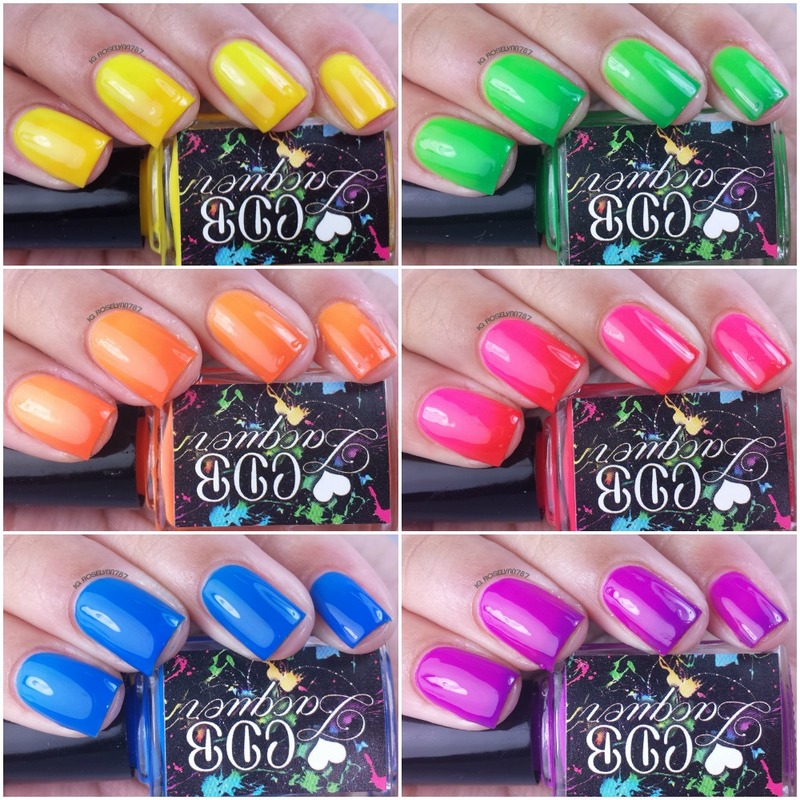 All of these shades are perfect for summer! That is a beautiful array of nail polish colors! My favorite is the orange. Wow, these are some cool and fun thermal shades. Beautiful swatches. Raging Red has the most amazing color change <3. These look awesome!! I love your swatches! 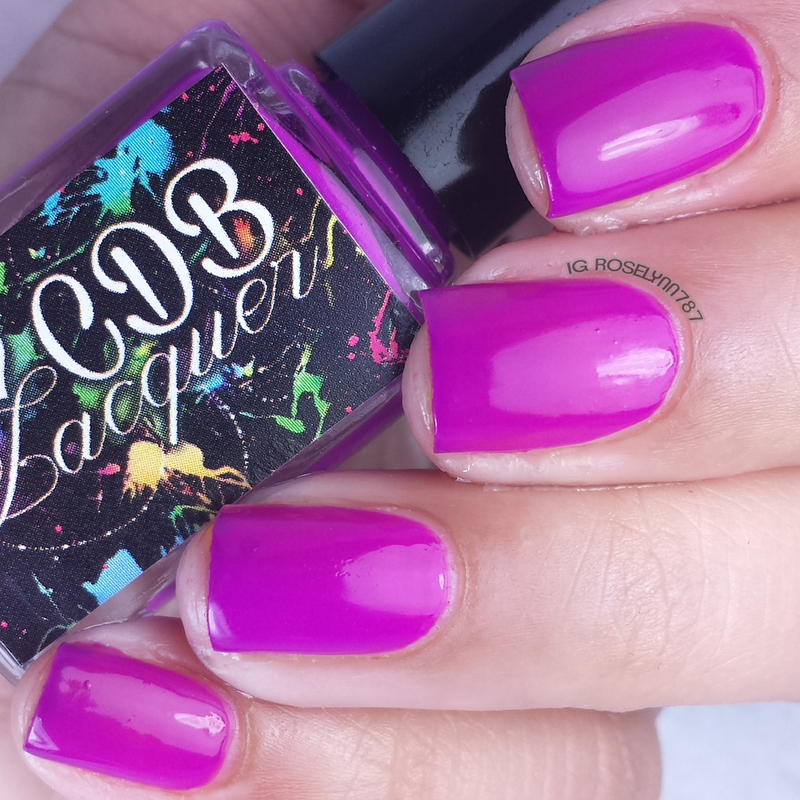 These bright and funky neon colors are so awesome! This is perfect for summer. I love the subtle shift in these!! Gotta pick some of these up. These are beautiful. My daughter is obsessed with that yellow. She wants all of these colors.